Glue sold in glass jars is very popular in France in the early nineteenth century. 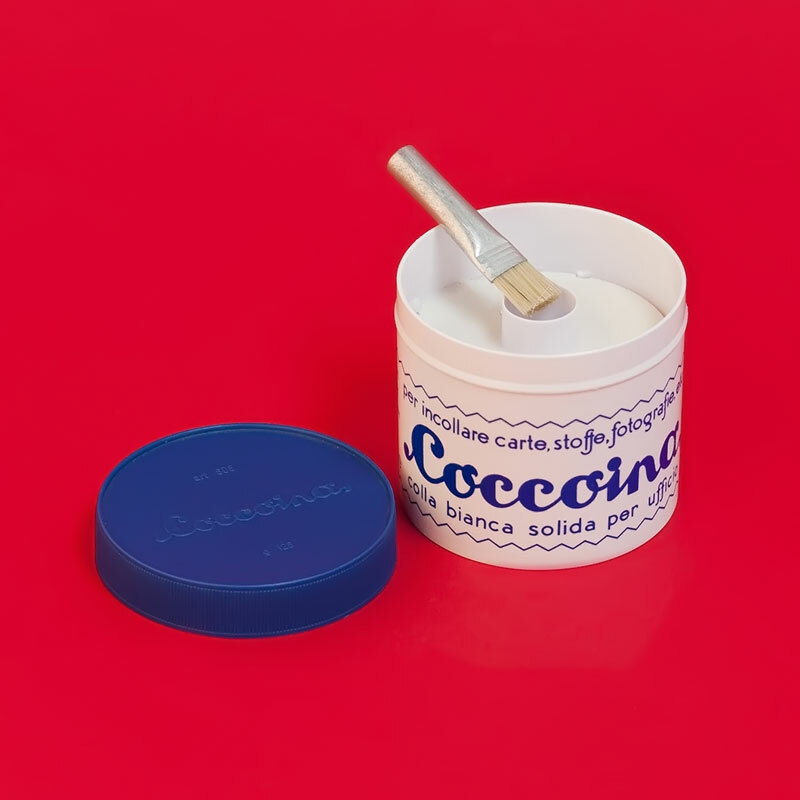 So the Italian businessman Aldo Balma goes one step further to vanquish his competitors: he invents an unbreakable aluminum packaging complete with a brush holder in the middle, and adds a delicious scent of almond that immediately imprints itself onto the collective mind. Potato starch dextrin and water are cooked in a double-boiler to produce it. Glycerin and almond essence are added once the mixture is softened. Then when the paste is ready, it is decanted for a month in the jars, after which it is ready for use. The scent of marzipan makes it irresistible to children, but no worries! Since it’s non-toxic it can be ingested safely.